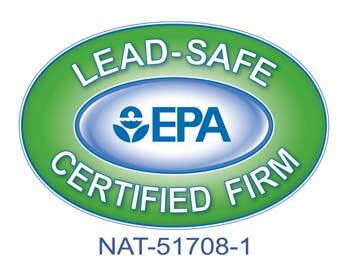 Keystone Window Of Pennsylvania offers the full line of Andersen® Replacement Energy Efficient Windows. We offer the Andersen® #400 WoodWright and #400 Tilt N Wash Series. An all wood interior with an exterior clad in your choice of colors. Interiors must be stained or painted by the customer unless you order white. 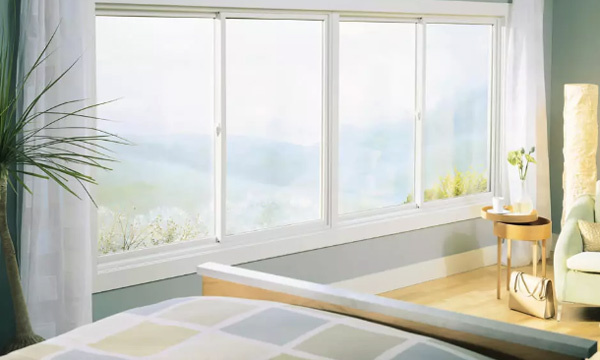 Andersen® replacement windows precision craftsmanship gives each window the look and feel of fine furniture. There are also several finish options for the locks and lift rail. 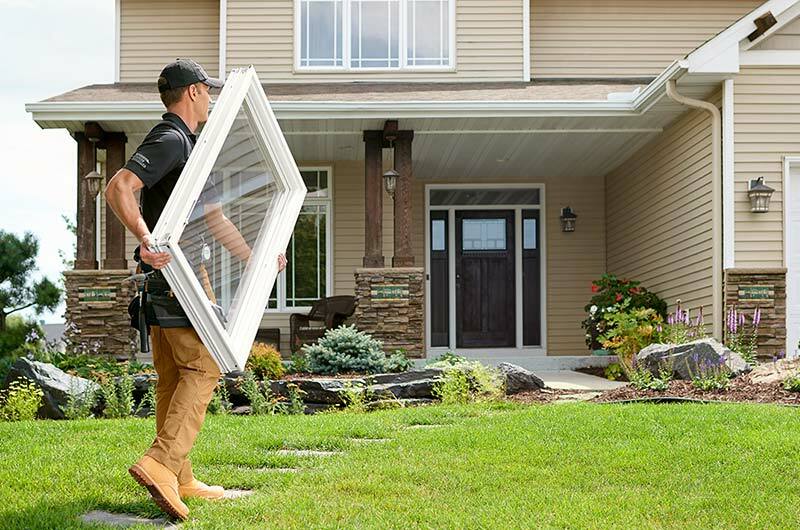 Call Keystone Window today for a free in home estimate. 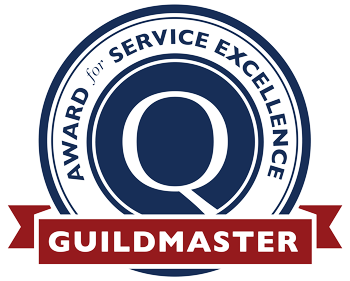 We pride ourselves in selling the best of the best when it comes to Replacement Windows. 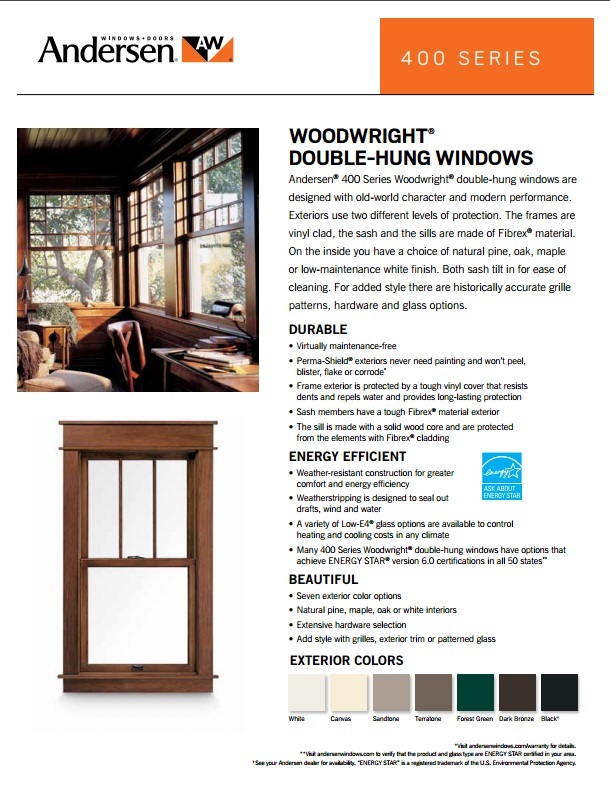 Andersen® 400 Series Woodwright® double-hung windows are designed with old-world character and modern performance. 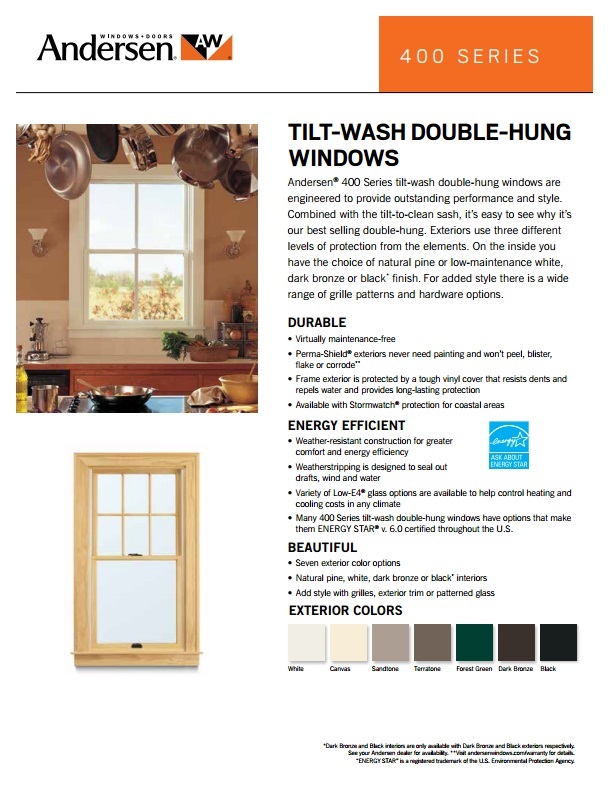 Andersen® 400 Series tilt-wash double-hung windows are engineered to provide outstanding performance and style. 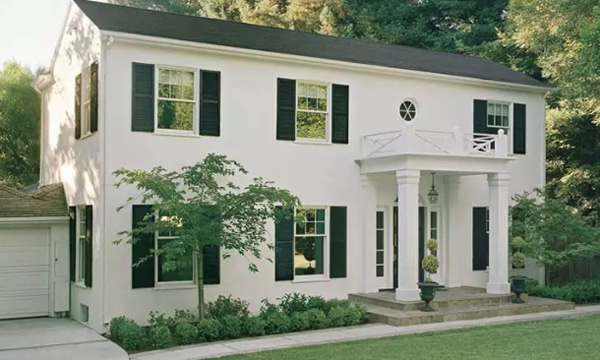 When you select Andersen®, you’re choosing an exclusive replacement window that is durable, customizable, and beautiful. 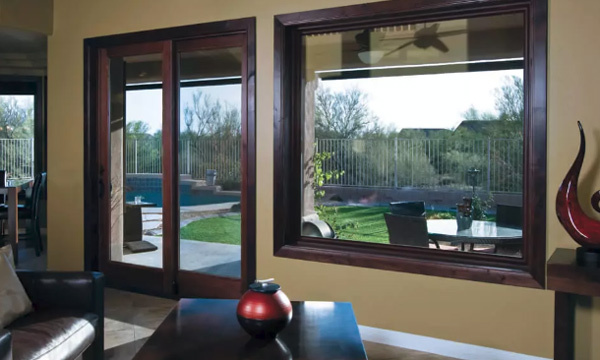 With 49 color combinations, numerous grille designs, 11 hardware finishes, and slim frames, Andersen’s® exclusive focus on window customization and design can help you maximize the beauty of your home (inside and out). 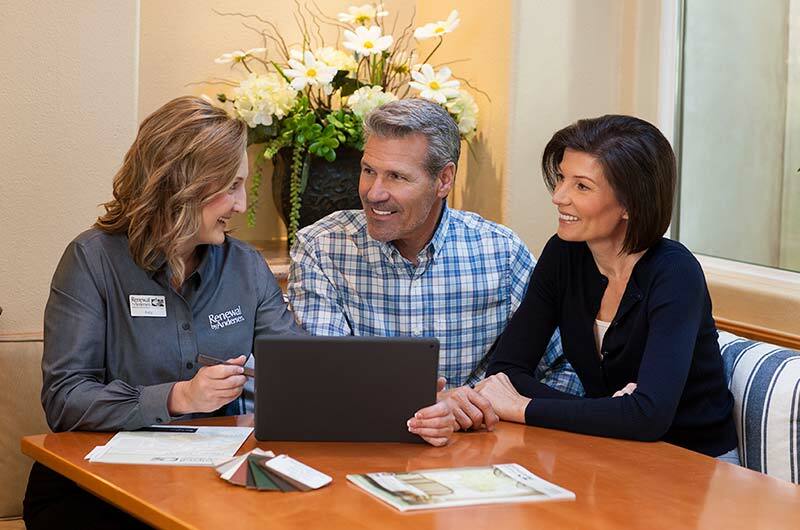 Whether it’s the location, the architectural style, or the family who lives there, every home is unique. The same goes for that home’s energy bill. At Andersen®, we have a glass solution for every climate, and our windows take advantage of the newest technologies to help cut costs and keep your family comfortable. 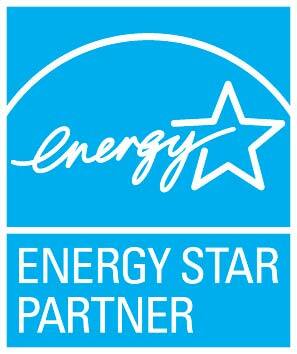 Andersen® has replaced over four million windows in over 600,000 homes across the country. We’ll help you sort through the details and features of our glass options like efficiency in different environments, visible light transmittance, and ultraviolet (UV) protection, so you can find the ideal solution for your home when it comes time to replace your windows.